Marinwood CSD director Irv Schwartz questions the fire department agreement with San Rafael. We taxpayers pay to respond to calls in San Rafael but get very little in return. Marinwood taxpayers are being exploited by an unfair agreement. Serious Trouble looming for Marinwood CSD and HansellDesign regarding fees and construction costs. 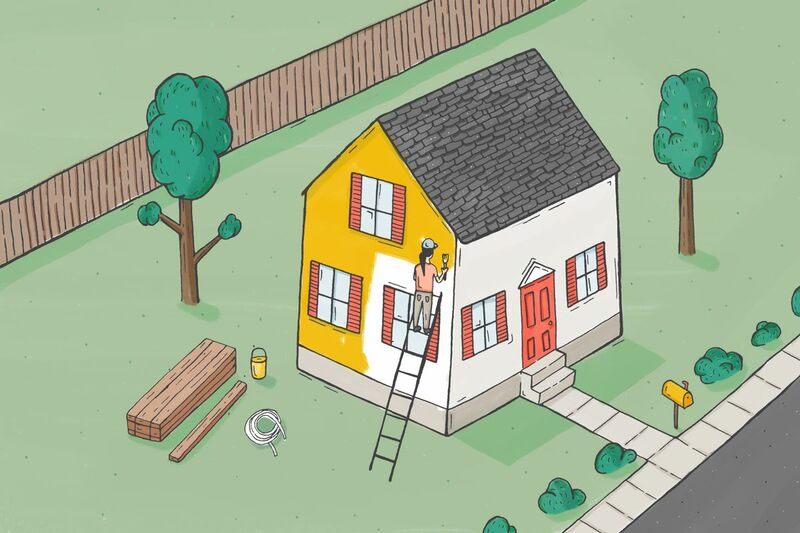 What you need to know about your next home improvement, from DIY weekend projects to how to budget for a fixer upper overhaul. If you feel in-the-dark as to how architects charge for their work, you’re in good company—it’s a system that mystifies architects, too. In 1990, the government enacted the Sherman Act, a law that made it illegal for the American Institute of Architects to offer fee recommendations to architecture firms. It means that architects must act on their own while deciding fees, and they’re allowed to set prices any way they see fit. The result, however, is that "nobody talks about it," says Peggy Deamer of the Architecture Lobby, an organization that advocates for the value of architect’s work. "It’s all word of mouth [regarding what other firms charge]. There are no set prices." What it often boils down to, Deamer says, is "what to charge so that I can get a client." The fluctuation regarding prices affects clients, too. Deamer feels that there’s often less-than-ideal communication between firms and clients about the amount of work that goes into architecture projects, what architects’ deserve for their time, and how that plays out in the fee structures. However, there are basic structures that clients should familiarize themselves with, and discuss with their architect, before moving ahead on any design project. Here’s a breakdown of what you can expect. 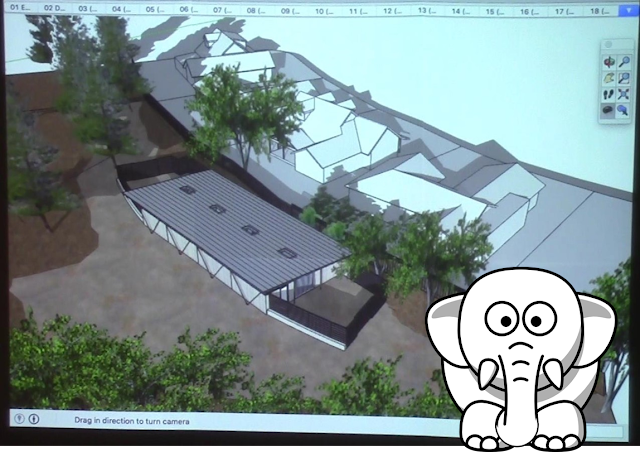 This is pretty straightforward: Architects will bill you for the hours worked on the project. Prices will differ depending on the project and the location you’re in, but can come in around $150 per hour or higher to work with a firm’s principal. The hourly fee can be problematic, says Deamer, because "While we’re excited to be paid for the work we’ve done, we always have to back down on what we charge, because the client wouldn’t believe how many hours we spent on a project." A client can control the number of hours worked on a project by adding a "not-to-exceed this amount" in their contract with the firm. "Almost nobody gets away with charging hourly without a cap," Deamer says. EDITOR'S NOTE: Marinwood CSD has given ZERO budget constraints for the architect for the Marinwood Maintenance Compound. Bill Hansell, architect is a former Marinwood CSD director and hired the current Marinwood CSD manager, Eric Dreikosen. Dreikosen said in March 2018, that Hansells fees will be $12,000 all inclusive but by May 2018, Hansell had bills totalling $11,500. He has not submitted bills for the last five months despite much work done on the project. The CSD will NOT REVEAL HANSELL's COST to the public. At best, this is poor business practice. At worst, it is the illegal channeling of public resources and should result in immediate action. 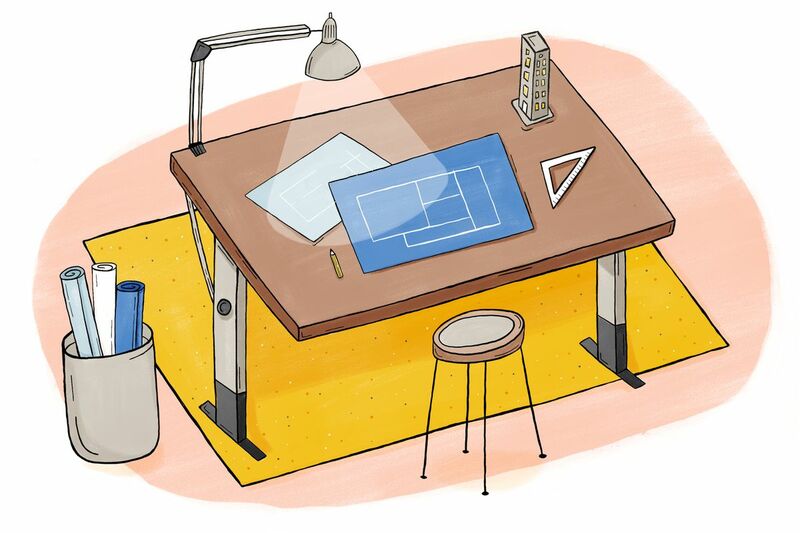 Architecture firms may charge hourly for some parts of the design process, but not all. "Often we’ll start charging hourly, because people don’t always know what they want to do when they start the project," says Dylan Chappell, founder of his firm Dylan Chappell Architects. A firm may charge hourly to come up with a concept design that will show the client the scope of work ahead. "Once we know what the project is, we can move to a more permanent fee structure," he says. Smaller and moderate sized architecture firms tend to be flexible in working with different fee structures with clients, according to Chappell. "Some larger firms may have a ‘this is how we do it’ attitude," he notes. A fixed-fee contract with your architect will state the set amount that they will charge. "Clients like that," says Deamer, "And the [architect’s] angst about what you can charge hourly goes away with a flat fee." But usually, architects will not settle on a fixed-price contract until they known exactly what the project entails—thus, the need to charge hourly for work in the beginning stages. The fixed fee is typically used for smaller-scale projects, according to Chappell. Think removing a wall or adding a bathroom. "It’s cut and dry. We already know the scope of the project," he says. For larger projects, there’s a good chance your architect fee will be calculated as a percentage of the construction costs. This fee structure doesn’t come without its challenges: "Figuring out what the construction pricing will be is extremely difficult, because it varies a lot," explains Sebastian Donovan, partner at Architect Construction Services (ACS), a construction firm based in New York. Those contractors will provide their bid, and the client will select one. The client sets up a separate contract with their contractor, and that price will be calculated as a certain percentage to determine the architect’s separate fee. As for the percentage charged by the architect? "It’s a sliding scale affected by how big the firm is and the size of the project," says Donovan. 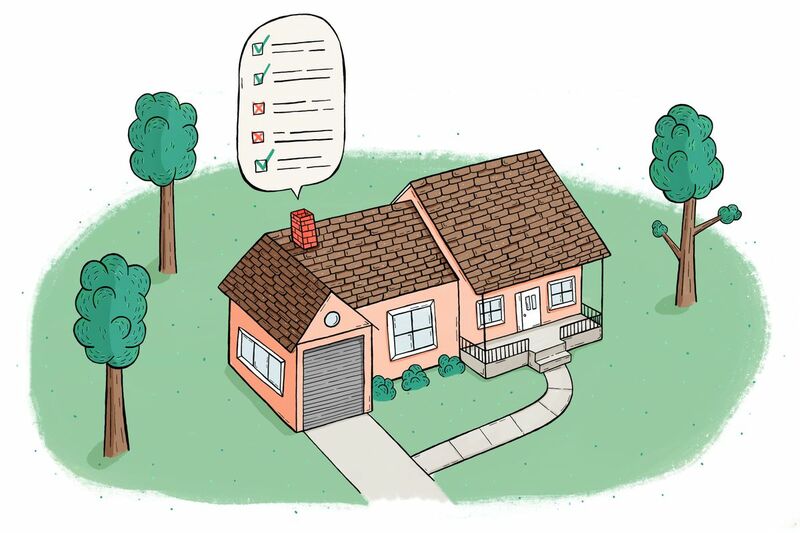 It could range anywhere from 8 to 20 percent, so be sure to ask your architect what percentage they typically charge for various projects before you start any work. If a firm charges less, they may only offer basic services or drawings to obtain a building permit. If they charge on the upper end, expect the full package deal, with full services and drawings to take you through the construction process. To help eliminate early questions about the budget, Deamer recommends that the client asks the architect to take on a contractor that they trust and have worked with before. By eliminating the bidding process, you don’t have the guesswork that goes into pricing. "Along the way, as they develop the design, the architect can check in with the contractor and bring in the budget," Deamer says. "When jobs come in closer to the budget, everybody wins." No matter what fee structure you work with, you must be realistic about your budget. "Clients will want a half-a-million-dollar project, but only want to spend $250K," says Chappell. He notes that there’s often a discrepancy between clients who envision their dream project and what architects can actually do with the budget at hand. He says that a helpful method for clients working with architects in the early stage is to move backwards from their set budget. From there, they can take into account not only the estimated construction costs, but soft costs not associated with construction—the architect’s fee, permitting fees, unexpected costs like a soil report or new water meter. "You think you have $100,000 to spend? You really only have $80,000 for construction," Chappell says. 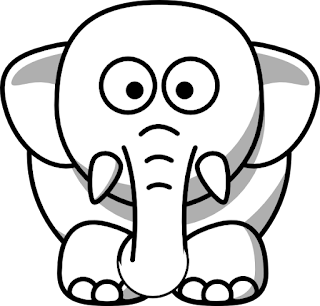 But "Good contractors and good architects will try to inform you about the budget upfront. And any firm with repeat business will have a fee structure that they default to, and they will lay it right out for you. Editor's Note: Even if Bill Hansell is not submitting bills, he should be submitting time sheets to justify billing at a later date. The public needs to know the cost of the proposed project ahead of time. Government contracting laws and ethics are being breached. Imagine if Marin County Board of Supervisors hired ex Supervisor Steve Kinsey without public review and refused to divulge what they are paying him. Do you think there might be legal consequences? How will Landscape Architect be Hired for Marinwood CSD ? Resident wants to know how Landscape Architect will be hired and approved and he receives a "non response" from Leah Green Marinwood Board President and Eric Dreikosen, CSD Manager. The fact is that several local landscape architects are part of the "inner circle" that also hired Bill Hansell, Architect with zero budget constraints. We expect it will also be a closed process and may require an independent audit of business practices. Marinwood citizen who gathered petition against the Marinwood CSD Maintenance Shed proposal responds to Marinwood Director, Jeff Naylor' s arrogant dismissal of petition signers in September 2018. Board President, Leah Green looks upon the speaker with bored disdain as though his questions are illegitimate. Green makes that outrageous statement that all has been decided years in advance. 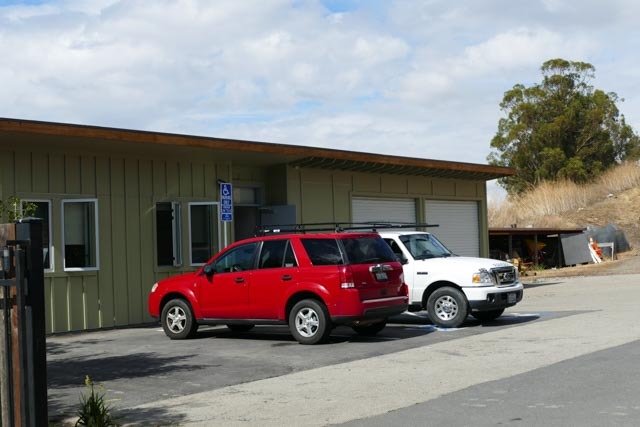 In fact, the board met in secret in Spring 2018 to approve the Marinwood CSD Maintenance Shed proposal designed by Bill Hansell, former CSD Director. It is twice the size, scope and many times the cost of any proposal discussed publicly prior to the Marinwood CSD approval. Green interrupts the speaker before his time is up. McInnis Park is THIRTY TWO times the size of Marinwood Park but Marinwood CSD needs a bigger maintenance facility? McInnis Park at 370 Smith Ranch Rd , San Rafael is 450 acres or THIRTY TWO times bigger than Marinwood Park and has a staff of six. Marinwood Park at 775 Miller Creek Rd is 14 acres and has only 3 staff. The proposed maintenance compound will occupy 1 1/2 acres of the open space that is used by msny people daily. The flat nature trail is accessible by people of all physical abilities. Marinwood CSD claims it needs a maintenance facility THREE times the size of McInnis Park's building or 3200 square feet plus outside storage. This sprawling compound will block a key recreational path and horse shoe pits. The front face is a shear 14' wall x 80' long and totally out of place in the rustic setting. Is this the legacy we leave our children? Why does Park and Recreation Commission and the Marinwood CSD ignore the Public? Dreikosen commented the Board formally approved the Maintenance Facility project as proposed and to have staff move forward with the planning and permitting process. Staff continues working with the architect is attempting to find a landscape architect. Parkinson questioned if digging down to place a foundation would be a possibility. Tune replied that would not be advisable as you would need to install sump pumps. Campo commented he feels the Commission and Board have made every effort to compromise with the residents and feels confident in the project moving forward. Campo stated it is impossible to please 100 percent of the community at all times. Dreikosen agreed the Board had taken into account the concerns while maintaining the needs of the District. Dreikosen added there is support from the community as well. Parkinson stated the concerns from the residents have improved the project. Tune commented this project has been thought about for over a decade. Past Commissions have tried to tackle the project, but were untimely forced to give up. Tune thanked the Board for being resilient, not giving in to the few and helping this current proposal move forward. Over 300 people have signed the petition against the "White Elephant" Maintenance Shed Proposal. Jon Campo/John Tune clearly do not know what they are talking about and have no data to support their claim. What they are saying is a few insiders and misinformed public support the idea of replacing the shed but NOT ONE OF THEM HAS STUDIED THE PLANS in detail and has refused to engage a public forum. They have destroyed public notices, attacked us on social media and have refused to discuss details or budgets. 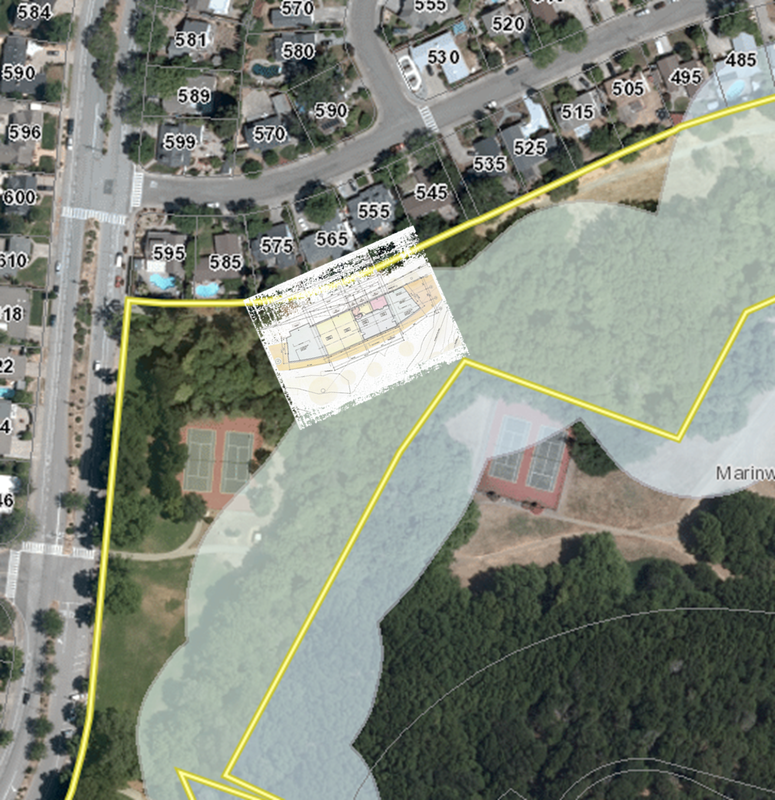 The Marinwood Park Maintenance Compound is an absurdly large intrusion into our beloved Marinwood Park. It is THREE TIMES the size of McInnis Park staff facility. McInnis is 450 Acres and has a staff of six employees compared to Marinwood Park which is 14 acres but only 6 acres is landscaped. Why does Marinwood need a 4400 sf facility? They are lying to the public. They totally ignored all public input from 2017 and created it in secret. We don't even have an ESTIMATED BUDGET!!! We need to have an outside audit of operations by a neutral third party. The Marinwood Park can build a project identical to the McInnis facility, we will save hundreds of thousands of dollars and preserve the park for its intended use. The McInnis Park Maintenance facility was completed in 2017 for the staff of McInnis Park att 370 Smith Ranch Rd. It is a total of 1205 square feet including 640 square foot garage. The garage holds essential tools, a small workshop and the office features an accessible bathroom, kitchenette and offices. Such a facility could be built in Marinwood Park and it will not block the nature trail, horse shoe pit and still allow access to Miller Creek. If serves McInnis Park adequately it most certainly can serve the needs of our tiny park and staff. This can be located outside the Stream Conservation Setback (or nearly so) and would have immediate support of the community.